← Aloe Vera toothpaste. Day 1. Home » Uncategorized » Sakura Chan. 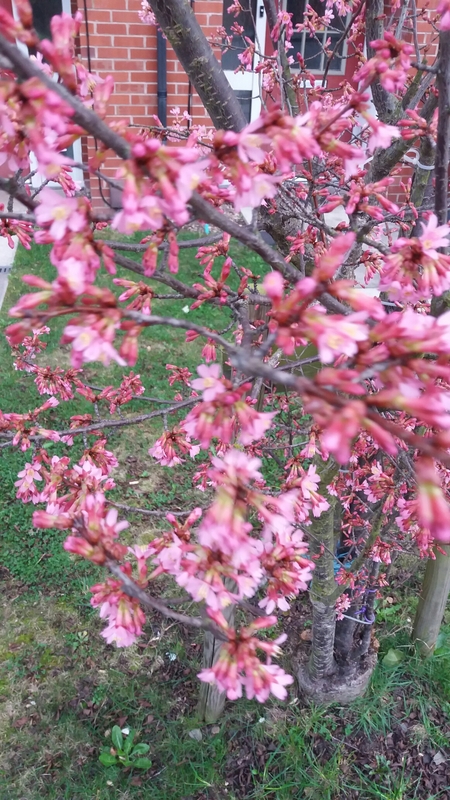 I didn’t know until two years after we moved in that we had a Japanese Cherry Blossom tree. Sakura Chan is blooming, now. A bit early, but I am loving seeing this every morning at the moment.